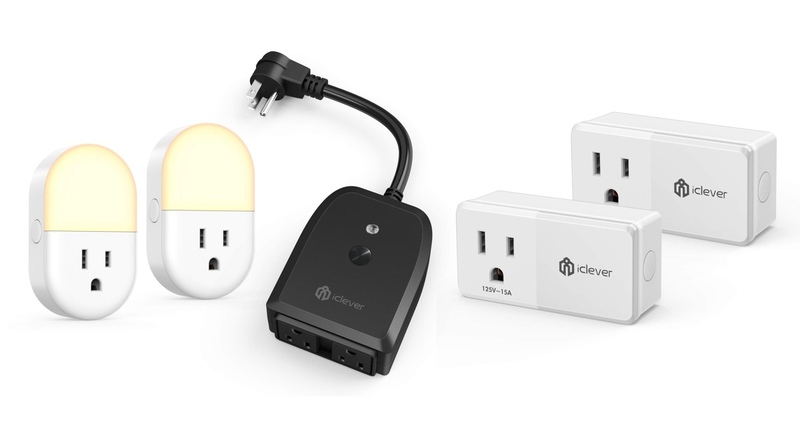 There is always a way or two to get yourself into the smart home hobby and iClever has the deals to get you started right away. iClever has been around for quite a while and they are few of the best in what they do – create accessories and ‘smart’ stuff. If you’re all about the latter, then you might be interested to learn that the company has three products on discount today, and all of them are smart WiFi plugs. Meaning that you can use your smartphone or tablet to turn your appliances, lights on or off without ever having to walk up to the outlet itself. The great thing about these options is that they work with Amazon Alexa and Google Assistant, so you can use your voice to control them as well. But wait, there’s more: unlike certain solutions out there, these smart plugs do not require a hub to function. They simply connect to your WiFi network, require a quick setup then you can start using them immediately. Out of the three options available, one is meant to be used outdoors so you can control stuff like lighting or anything that sits out on your porch. The second one has a built-in LED light, so apart from being smart, it will light up your hallway too. The last option is a plain, simple WiFi smart plug which just turns your appliances or bulbs on or off.